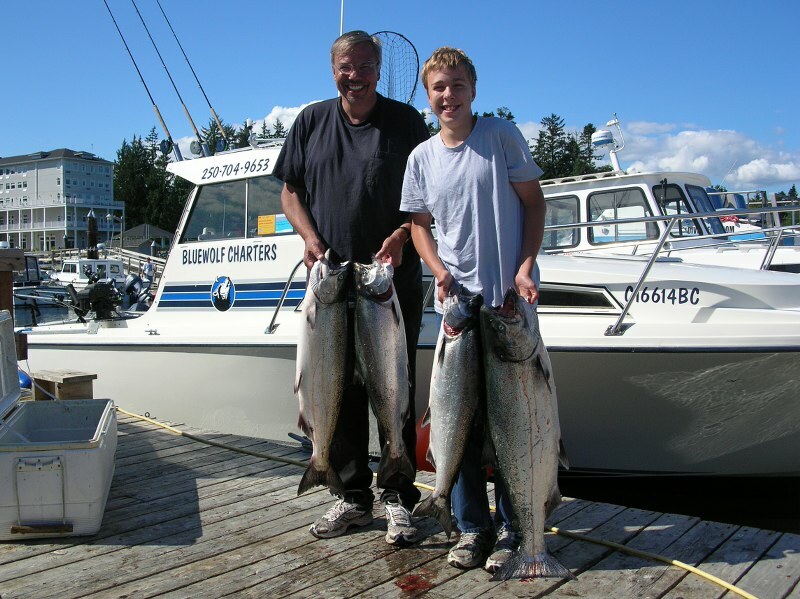 Sooke's salmon fishing is excellent right now, with big spring salmon coming in at various spots from Possession Point, Secretary Island, to Otter Point. Roy from Blue Wolf Fishing Charters sent in photos of some happy guests, with limit catches from 16 to 31 lbs. 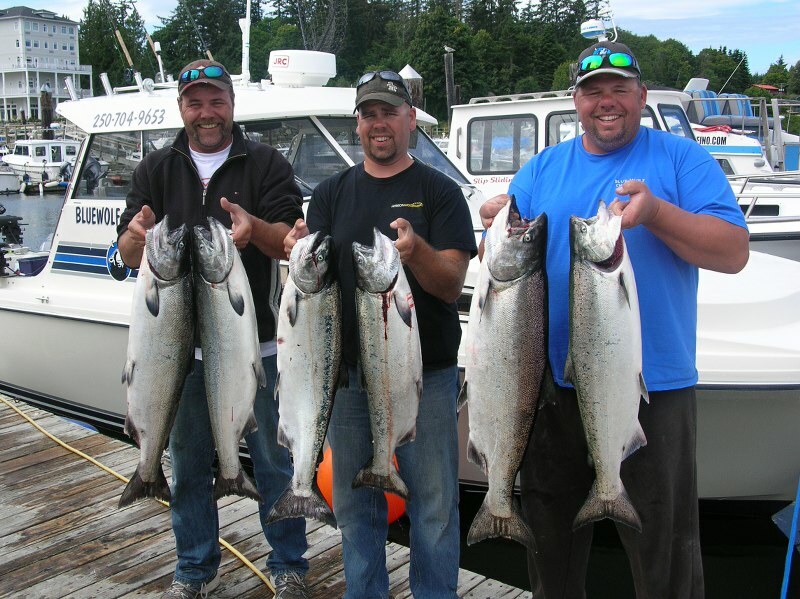 Neil from Salty Towers B&B had 4 great mornings in a row last week, catching 8 spring salmon quickly off Possession Point, with three in the 30s. Wow! There are also plenty of pink salmon in the deeper water ... just troll the pink gear due south until you find the school, then circle through them for some action. There are also hatchery coho you can keep, though still small, and larger sockeye -- which unfortunately cannot be kept at this time. 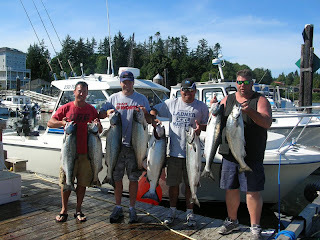 All in all, GREAT Vancouver Island fishing!